When I first heard about the national live-staged reading series Listen To Your Mother,, and its founder Ann Imig, I knew I had found my tribe. By naming her show Listen To Your Mother, Ann not only conjured the wisdom of mothers throughout history, she instantly made mothers everywhere stop and listen: Listen to ourselves, our own mothers, our children and mothers we might never meet, all across the country in big cities and small towns. I couldn’t help but listen to Ann and her contagious laugh, wicked sense of humor and motherhood wisdom. I wanted to know this mother and all the mothers she knows. And so I committed to directing/producing/performing in the 2013 LTYM Show in Providence, and in doing so I committed to so much more than one show; I joined a movement that is now alive in 39 cities, and 1500 strong and growing. A sisterhood and brotherhood that has grown out of the online world and social media has changed the very experience of motherhood for an entire generation. 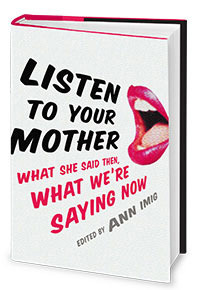 With Mother’s Day around the corner, this year the LTYM family has even more to celebrate: the “birth” this month of the Listen To Your Mother book, a collection of 56 candid, funny, poignant, unexpected and soul-bearing essays. Like the stage show, the writing is funny and heartbreaking and personal. It is through this collective voice that we can all relate. The labels and differences disappear and what remains is the deeply human, raw and real experience of raising children and owning the names Mother, Mom, Mommy. Many famous writers have appeared in the show since it began in Madison, Wisconsin, in 2010 but so have many first-time writers and performers, myself included. As Listen To Your Mother proves, motherhood means we stand together side by side, word by word, moment by moment telling our stories, supporting each other and listening. 1. She is funny! She knows how to laugh at herself and at the messy motherhood journey. 2. Like motherhood itself, the LTYM movement is open to everyone; you can start a show in your town or city, or participate in one that already exists or read the book. 3. Ann has modernized motherhood by moving the online experience of bloggers and social media users to real life. We all need a community and we all need support, and Ann gives us a place to be a tribe. 4. 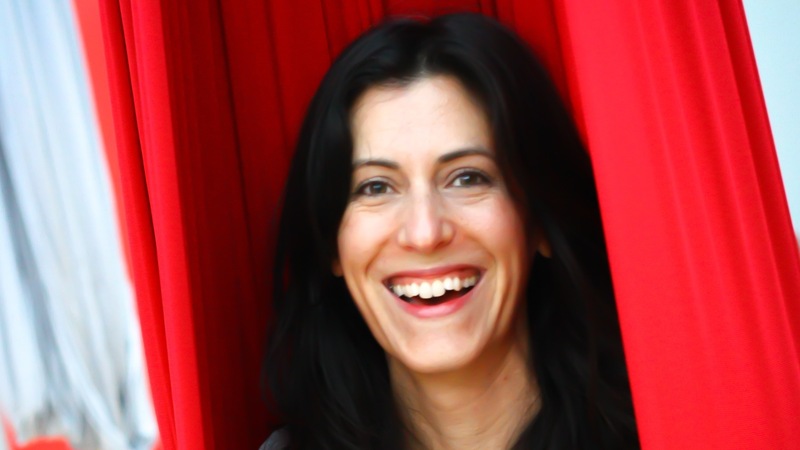 Like the LTYM Show and book, Ann gives today’s mothers a definition of motherhood that is not “one size fits all” but rather a new way of looking at mothering. 5. Ann has given so many of us a chance to speak and be heard on the stage, and the ability to fulfill a lifelong dream for so many!